LIVINGSTON, N.J. – CycleBar, the premium indoor franchise, opened its first Essex County location this week at The Shoppes at the Livingston Circle in Livingston. The 93,000-square-foot open-air shopping center, located at 277 Eisenhower Parkway, is managed and developed by Livingston-based Eastman Companies. Franchise co-owners Dr. Charlotte Jones-Burton and Delvin A. Burton kicked off a month of Grand Opening events with an Open House on September 5. The community received the “red carpet” treatment as they toured the new 3,200-square-foot state-of-the-art studio. Guests enjoyed light refreshments provided by Ike’s Bagel Café and Edible Arrangements, and chair massages courtesy of Hand and Stone Massage and Facial Spa. An official ribbon-cutting ceremony will take place at the studio on September 13 at 5:30 p.m., followed by a week long “CycleBlast” September 17 through 24. The public is invited to ride as often as they like at no cost throughout the week. Free rides are also being released daily on the website, and specials on monthly unlimited rides and ride packs are now available in-studio only. CycleBar Livingston operates on a pay-per-class model, with no membership necessary. CycleBar Livingston is part of a growing boutique fitness chain that has more than 200 locations currently operating or in development nationwide. The Livingston studio offers full-body workouts tailored to all fitness levels and ages at a price that is lower than most competitors. Premium amenities include cycling shoes, filtered water, snacks, towels, and showers with plush robes. 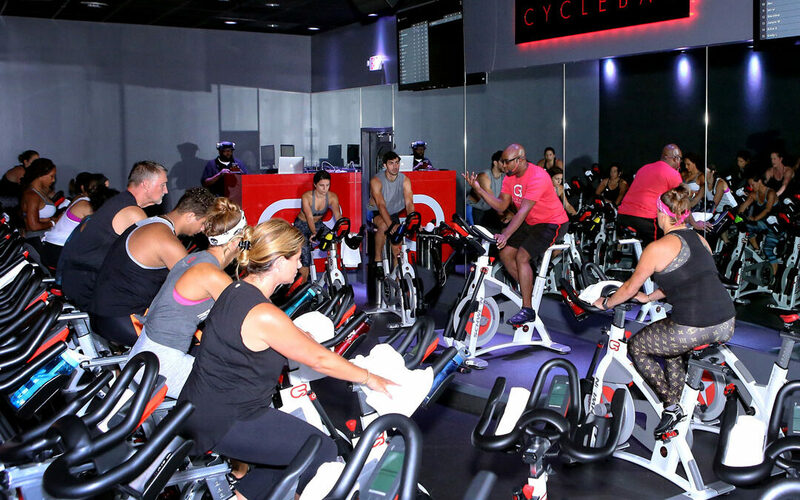 The dynamic classes take place in the CycleTheatre, which features tiers for 50 bikes plus LED lighting, wide-screen graphics and state-of-the-art audio with a DJ booth. Riders can also track performance data via CycleStats and can download music used in the class session. Headquartered in Livingston, N.J., Eastman Companies and its affiliated companies have been in business for 39 years and are recognized leaders in high-quality real estate developments with property throughout Northern New Jersey. The company boasts a portfolio of more than two million square feet of office, retail and industrial space located in Essex, Morris, Bergen and Burlington counties.